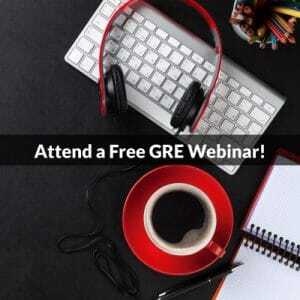 You probably know about Powerprep, the two free computer-based practice tests from ETS, maker of the GRE. You may not know about the Practice Book, the free paper-based practice test from ETS that comes in two editions. The two Practice Books have mostly the same questions as Powerprep, so they’re not really distinct practice tests. But you can still use many of the Practice Book questions as practice exercises. The two editions of the Practice Book combined contain 200 questions. 57 of those questions, 46 Quant and 11 Verbal, are not found in Powerprep. So, you can practice with those 57 unique questions the same way you’d practice with the problem sets in the Official Guide or other ETS sources. 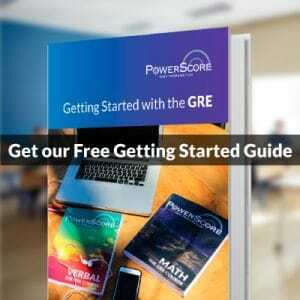 Below is a list of all 57, with links to answers and explanations in the PowerScore GRE Forum. Links to both editions of the Practice Book are included, too. 25. In the context in which it appears… Reading Comp. 13. The passage mentions which of the following… Reading Comp. 14. In the context in which it appears… Reading Comp. 22. The passage suggests that… Reading Comp. 23. In the context in which it appears… Reading Comp. 24. In the context of the passage as a whole… Reading Comp.